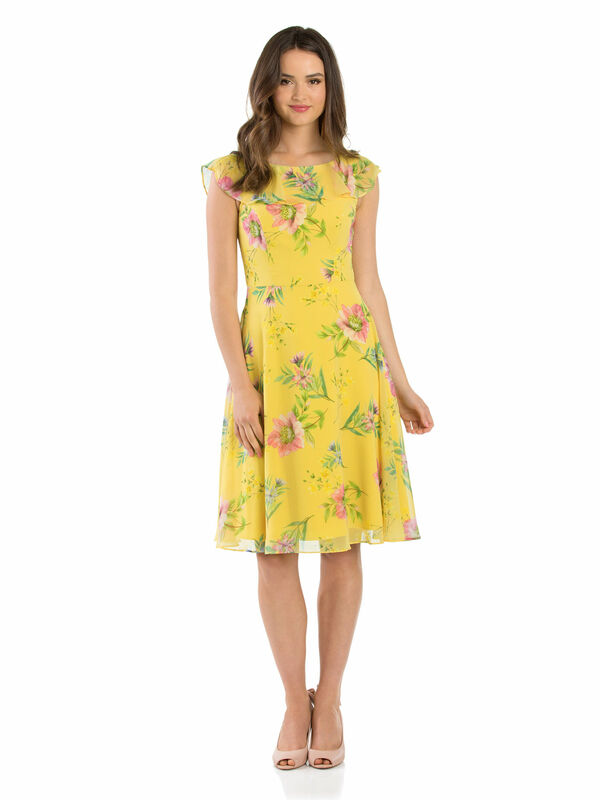 Morning Bloom Dress https://www.review-australia.com/au/morning-bloom-dress-yellow/RE19DR350.REYEL065.html Beautifully soft and bright and soft as the morning sun, the Morning Bloom Dress is a delightful floral print favourite fit for a prom, wedding or pretty party ensemble. The soft and floaty fabric is fully lined. Fitted at the waist, the dress features a sheer frill trim at the neckline. Morning Bloom Dress is rated 4.9 out of 5 by 12. 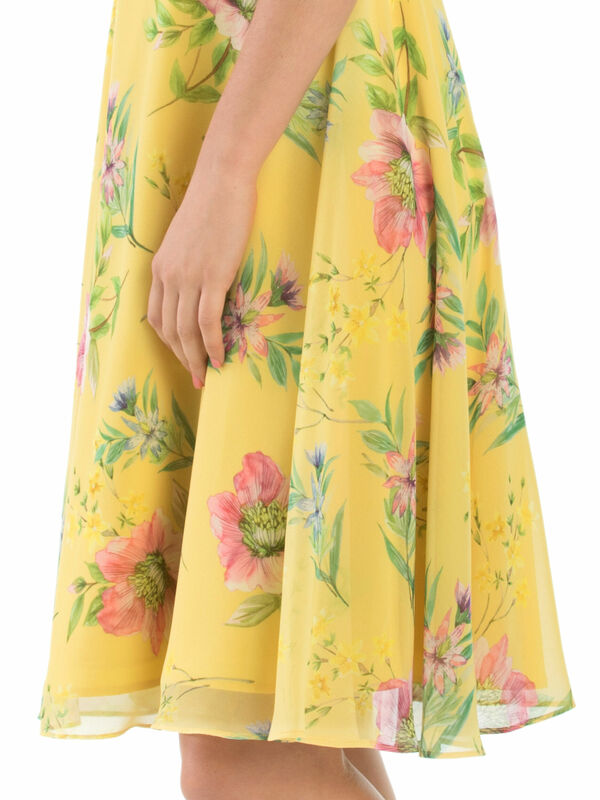 Rated 5 out of 5 by Sharonlouise from Such a pretty day dress I recently bought this sunny yellow dress and then decided to wear it to a Review Giros gathering at Palazzo Versace. It is super flattering and has 3 layers so not at all sheer. 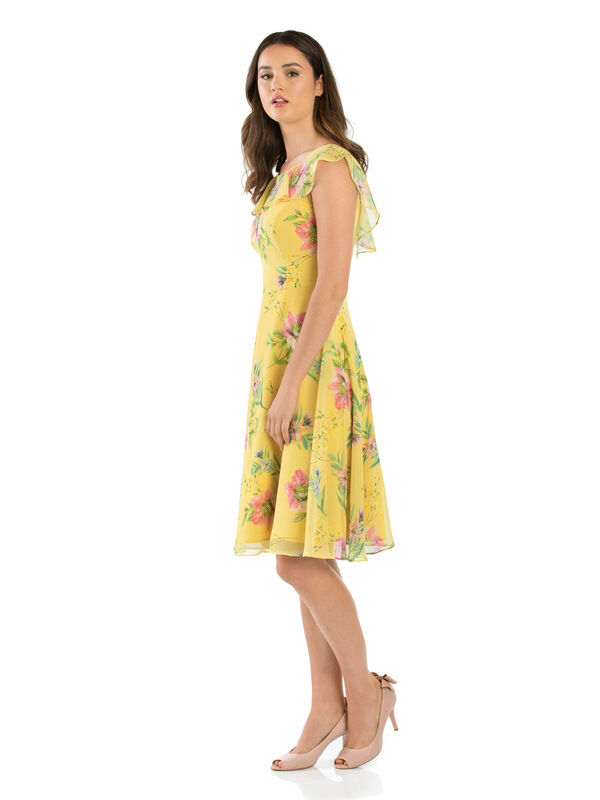 Sits at bottom of my knee, tea dress length and has blue, lilacs and pinks to accessorise with. It’s just a lovely happy dress. Rated 4 out of 5 by Saralol from A beautiful and flattering dress I bought this in store today having seen it online, I found the colours to be more muted in reality but still very pretty. The dress is true to size and a nice length, the scoop back is super cute. Rated 5 out of 5 by jessica89 from Beautiful Bright Dress I brought this to wear at a wedding. The dress is flattering and true to size. It sat just below my knee. Its a gorgeous dress and beautiful style. You can style it with lots of floral colours. Rated 5 out of 5 by kylie ann from beautiful floaty and cool I love this dress. I bought it 3 weeks ago and i just love it. It isnt as vivid yellow as I thought it would be but it is still spectacular!! Gorgeous. Rated 5 out of 5 by Anonymous from Beautiful Dress lovely fabric & colours i wore this dress to my brothers wedding. it was very comfortable to wear for long periods.. I had many compliments. 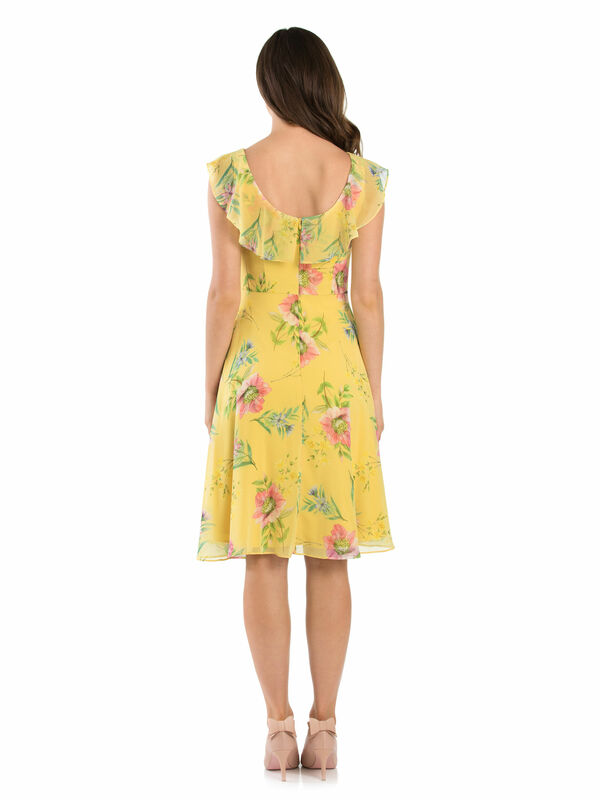 A very Summery Dress. Rated 5 out of 5 by Amy12 from So gorgeous! I bought it a couple of weeks ago and it delivered really quickly and looks beautiful.